The plain exterior of the Beovox 1600 concealed an interesting design. Designed for wall mounting, either vertically or horizontally, the Beovox 1600 was the ideal for the mid range B&O models of the period such as the Beomaster 1200 or Beocord 2400. The Beovox 1600 was a three-way design. 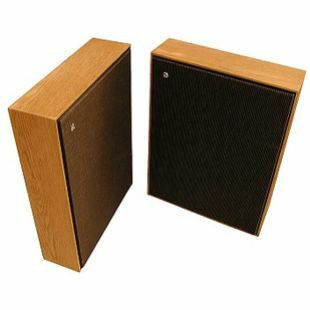 The units comprised a 12cm woofer, a 2.5cm dome midrange and a 4cm cone tweeter. These units were supplied by Wharfdale (England), Philips (Holland) and SEAS (Norway) respectively. An odd mix, though they were all of good quality and were well made, the woofer had a rot-resistant soft rubber roll edge and a pressure die-cast basket for example. Using a cone driver as the tweeter and a dome for the midrange was odd practice, though it has to be remembered that these were early days for dome loudspeakers in general. The crossover network was of a fairly standard three-stage parallel design complete with a band pass section for the midrange. Unusually for B&O, a film capacitor was used as the pass element for the tweeter, normally a cheaper electrolytic capacitor would be found here. The slim cabinets also had an unusual feature, they were braced from front to back to make the large front and rear panels more rigid. This may have been done to stiffen the rear panel in particular, to reduce the amount of acoustic energy that was transmitted into the wall. The cabinets were constructed on the pressure chamber principle and were fronted by a cloth grille that was supported on a pressed steel sheet. B&O had clearly put a lot of work into the Beovox 1600. It was later replaced by the Beovox 1800.
Review by Nick and Tim Jarman for www.beocentral.com - reproduced with kind permission.